Last night I had a nightmare and woke up in a cold sweat with tears in my eyes. Christmas is only days away. No, literally, the 25th of December is frighteningly close. So why I am I so stressed about this supposed joyous and happy occasion? Because I have not done an ounce of shopping for anyone and I don’t know when I am going to find the time to get around to it. Now I am a camera lover, as is most of my family. We love photography and we love staying up to date with the latest trends and technologies. Realizing that many of you out there in the Digital Photography School might be in the same (sweaty) position as me, I decided to put together a quick guide to help you shop for all the latest and greatest digital camera gear this Christmas. I hope it helps. Let’s keep it fresh, simple and cheap. Digital photography can be expensive if you allow yourself to splurge so we want to keep our budget within limits. There is a financial crisis going on you know? Oh, and you might want to copy and paste this URL into an email for your Mom if you still haven’t decided what she is going to get you this year! I’m sure she will appreciate the altruistic Christmas spirit. I want to kick off this guide with the best point and shoot camera on the market these days. This is the number one point and shoot on Amazon’s Best Seller List and with good reason – it is a great camera. A point and shoot is an excellent gift to give someone for Christmas. I don’t know about you, but this would be an expensive gift in my family so maybe reserve this one for your parents, child or a good looking person you need to impress. 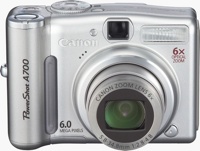 Don’t worry too much, the Canon PowerShot SD770IS is only going to set you back about $160USD. Let’s talk about its features: it is one of the most compact cameras out there and comes in a very tough and stylish metallic shell. It has a whopping 10 megapixels CCD capture with enough juice to blow up some photos to poster size. It also boats face detection, image stabilization and 2.5 inch glistening LCD screen. The best thing about this camera, however, is the most obvious. It takes amazing photos. Even in automatic mode, the Canon PowerShot shoots some of the most crisp, warm and impressive photos I have ever seen on a basic point and shoot camera. Couple that with the fact that my grandma could operate it and you have an excellent gift. Still on the best seller list, the Coby 1.5-Inch Digital Photo Keychain is a great gift for someone who is going away for the holidays. Let’s pretend you have a wonderful girlfriend who is leaving town to see her family – buy one of these and upload a photo of your ugly mug so she feels like you are always watching her. Always. Anywhere she goes! In all seriousness this is a cool little gift and retailing at $12.95USD you can’t get a much cheaper present. The screen is a 1.5 INCH LCD and takes JPEG, BMP and GIF photo formats. You can upload photos using your USB and let them flicker away. I few weeks ago I was out with a “professional” photographer doing a job for one of my web design clients. She was an extremely talented photographer who knew all the tricks and trappings of getting the perfect corporate shot. She had even sold $40,000 worth of her photos at a prestigious gallery earlier this year. But at about 4.30pm when we were taking the final shots of the office complex she did something I will never forget – she started cleaning her $1500 Canon EF Ultra Wide Angle Zoom Lens with her finger. Her finger! Needless to say I was photoshopping some tasty smudges the next day. Guess what she is getting for Christmas? This leads me on to the final Christmas idea. I thought I would leave the best for last. This present is for someone who wants to really leave a mark on a photographer’s heart this Christmas. It might be your child or your spouse or your best friend. Whoever you decide to give it to will love you forever because this thing ain’t cheap! If you want to make money as a professional photographer you need Photoshop by your side. It is one of the most complex user programs ever made and carries out so many functions it can take many years to master. But the effort is well worth it. A fantastic photo can be transformed into a work of art. A good SLR coupled with some Photoshop skills will leave your clients wondering what they ever did without you. The great part about this present is that you don’t need to go out an buy it. You can buy it online and download it right on to your computer. Or, have it shipped to the recipients address. There is also a current special on that will make photographers world-wide drool – CS4 and Lightroom are now packaged together to save you about $200 (mac bundle here). Christmas can be a stressful time. Christmas shopping makes it all worse. I hope these suggestions have given you some ideas and perhaps reduced the anxiety a little bit. Why not leave a comment and tell us what photography related gifts you want for Christmas? Your idea might help make this the best Christmas ever for some budding photographer out there! This guest post was brought to you by Digital Cameras Australia – a blog that reviews and critiques all the latest in digital camera technology. hey simo, thanks heaps for putting up the comment about gimp and ufraw. have been getting my head around gimp for a few days. cant beleive how good it is for a free download. your a champ. Hi and Merry Christmas, all. A few years ago I received a LowePro camera bag. Shaped like a back pack, it can be worn as such, or slung over one shoulder, but not like carrying a purse. When worn the one-shoulder way, the bag fits snugly against the side and doesn't flap around. Shoulder straps are heavily padded. My bag carries one camera body and three lenses, plus all kinds of accessories. It's amazingly well-designed and fully padded. Breakage is just not a possibility. LowePro makes a larger version of this backpack, which could carry more lenses and/or an extra body. I just wrote an article about Christmas shopping for digital pocket cameras. I think the Canon Powershots and the Nikon Coolpix cameras are fantastic. I now have an older Canon and I had a coolpix. When you can't lug your big camera, these neat little cameras are indispensable and although the one you highlighted is less than $200, you can spend double that for more bells and whistles. This is a serious question, as I'm looking for a little pocket camera. Is the Canon PowerShot SD770IS really the best camera on the market? It is not even their latest model, using DIGIC III. Cannon 880IS costs $100 more and uses DIGIC IV. Are you suggesting that the older 770 is better than the 880? Or do you just like the $150 price point? Or do you think that they are equivalent? Thanks. I've resigned to the fact that I have to buy my own gear - neither my girlfriend nor my parents are audacious enough to drop the dough on something that might not work for me, I guess. How is the SD770 in low light situations? Getting the Adobe C4 will be the ultimate for me but it is definitely out of budget. Is there any other cheaper alternative to the the C4 software which you can recommend? I just posted one on my blog as well! @ Rook - Wacom Tablet is on my personal wishlist this year..
it doesn't have the option for manual controls but it takes great pictures and being able to toss into a pocket is a great option. The only problem I see with the Fisher Price camera is that it doesn't teach kids that a camera isn't a toy. They can throw this around and it doesn't get damaged, but will they realize that your SLR can't do that? I gave my kids a hand-me-down point and shoot when I got a new one. They thought it was extra cool because it was the same one that we used and they have learned to take care of it. I've also discovered that most point and shoots are pretty durable as they we have all dropped them a few times and they still work like a charm. Just wanted to point out, the Photoshop CS4 links are "upgrades", so presumably you need to have a previous version of Photoshop or Lightroom to get the low, low, price. My wife and I purchased a refurbished Canon IXUS750 (which I guess is equivalent to a SD750IS in the US) a couple of years ago. What a fabulous little camera it is. It shoots consistently well exposed photographs in a variety of situations and doubles up as a pretty good video camera. The big plus point for me was that it doesn't suffer from the huge shutter-lag of some point and shoots. Check this one out for the really young photographer. Now I know a P+S can be had for similar money but this one has the benefit of being; more robust, more little finger friendly, harder to loose! Wow, nice deal on the little Canon Point and Shoot. I am sort of stuck in my Canon SD550 cause I have a $250 Ikelite underwater case for it. Very good point about requested item details. Actually, high on my list is an ipod touch. I don't want the phone, just the opportunity to show and review my photos with friends, family and potential clients on a cool platform. My tip for anyone who loves cameras, but has a family that doesn't know anything about cameras: give them a link, and the EXACT name of what you want (not an 18-55mm lens, but a CANON EF-S 18-55mm 3.5-5.6 IS II Lens). Some people just don't know the difference between Nikon and Canon, or the mounts in systems. I've done this so much with my parents. I've decided that christmas is not a surprise for me anymore. and I'm ok with that. Ha! You forgot the age old combo ... The Canon 5D MkII and the Canon 70-200 f2.8 IS!! ...what do you mean 'santa says credit crunch' ...nice post D, I should sort my shopping too...eeeek!